I do feel a little like I may have neglected you a little recently, what with putting the finishing touches to my book and illustrations and campaigning for Haynet Equestrian Blogger of the Year 2014 (which I won thanks to you guys – Wahay!) time got a little pushed for sharing hints and tips with you. Thanks for your patience, to make amends I’ve got some great stuff in store for you. … and pick up again with a brand new blog about The Collective Marks – Submission. You will know by now that my view is that very few trainers give real weight to their pupils understanding and focus on the collective marks. Forgotten about and often viewed as something that just happens because it is just ‘in there’. Quite simply, if you do not have a full understanding of what the judge is looking for when awarding The Collective Marks, you do not have a full understanding of the aims of your test. In recent times more and more emphasis is being put on the horse’s ‘way of going’. It is no longer sufficient to simply do the movements you must demonstrate relaxation and willingness from the horse. The collective marks allow the judge to give an overall score for their perception of how you and your horse performed THROUGHOUT THE TEST. It is their opinion as to how you as a combination conducted yourselves and the overall impression you left them with as the test progressed. I’m not overly comfortable with the word submission. 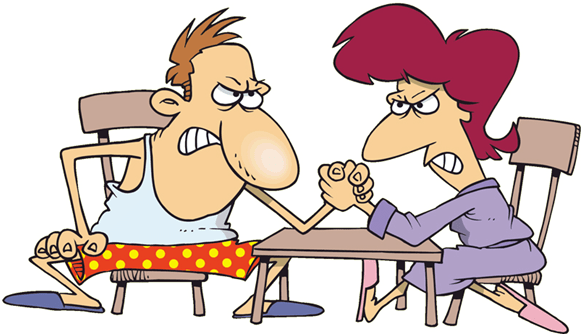 When I hear the word submission I think of arm wrestling! where each opponent has to use their strength to overcome the other before they surrender, ‘give in’, succumb … or submit! But whilst the word submit does mean all of the these things, it also means to yield, to agree to or, more aligned to our dressage thinking, it is the opposite of ‘resist’. The judge will usually underline the areas where improvements might be made which will justify your score and reflect in the comments for each movement. You will probably find a theme running through your test comments if you have any issues with attention, confidence, harmony, lightness, acceptance of the bridle or lightness of the forehand. The British Dressage Rulebook states: “Submission does not mean subordination, but an obedience revealing its presence by a constant attention, willingness and confidence in the whole behaviour of the horse as well as by the harmony, lightness and ease it is displaying in the execution of the different movements”. The impression is of a horse that is swinging which can be identified by the tail hanging loosely and softly moving from side to side. 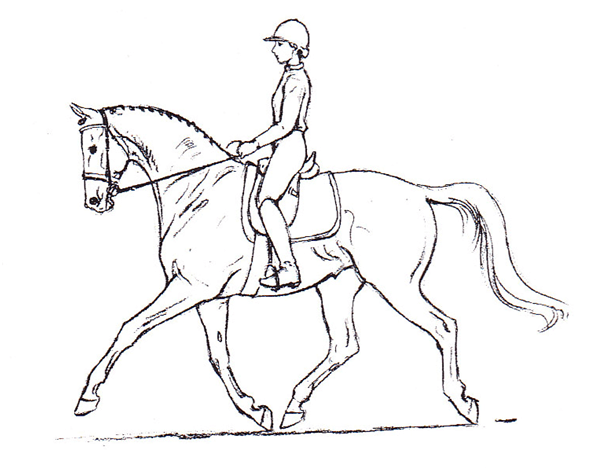 You see clearly that the paces start at the hind legs and the energy flows through the body to the bit. The whole picture is pleasing and easy. What do we need to work on to achieve submission? Mentally you want your horse to relax and be concentrating on you, waiting for his next aid and enjoying the work – willing and trainable. When you achieve all of this in your work it shows. The horse learns that working with you is the most comfortable place to be. A horse’s ability to learn is much easier when he is submissive. What signifies a lack of submission to the judge? A resistant horse shows signs of agitation. The degree of submission is also demonstrated by the way the horse accepts the bit. Resistance to or evasion of your hand demonstrates a lack of submission. These are also signs of nervousness, tension or resistance on the part of the horse and are always taken into account by the judges in their marks for the individual movement but more importantly will reflect negatively in the collective mark for submission. The first thought when considering submission is willingness. Your horse needs to understand what is being asked of it and be confident enough in you to respond to your aids without fear or tension. Stop and think about this for a minute. It is your duty to ensure that you are being fair with your horse. IS YOUR HORSE CONFIDENT IN YOU? My horse, A.K. will always helicopter her tail when being taught something new. It’s mostly when she is concentrating and her way of saying, “not sure what you want”, sure makes me think about what I’m doing when I see her saying “Eh?” with her tail! The judge will consider whether you have fulfilled the main requirements and movements of the test when awarding the collective mark for submission. This is the main criteria. Next time in The Collective Marks Series we will look at ‘Rider’s Postion and Seat’ – A vast subject that I may have to break down into bite size chunks! If you have any particular issues or anything you want me to cover in this post, please feel free to email me.